Skilcraft 4-Section Fastener Heavy-Duty Hanging Files - Legal - 8.50"
Heavy-duty portable folders are perfect for use in desk drawers or cabinets. Fold down hangers allow you to have a classification folder ready to go. 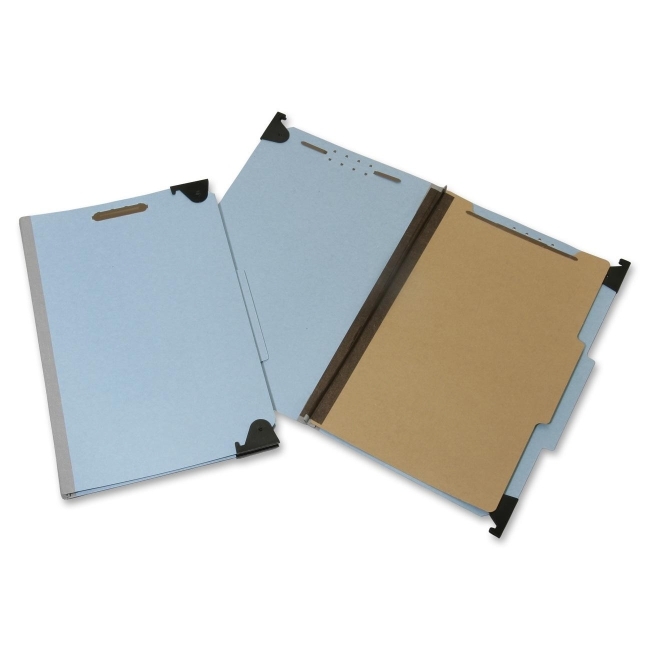 Folders are made of durable, 25 point pressboard covers with 1" capacity bonded fasteners in positions 1 and 3 with top tabs that are 2/5-cut and right of center. Dividers are made of 17 point Kraft material and include dual 1" coated fasteners. Each folder also features 2" Tyvek expansion gusset bottom and one divider to create four sections. They are made using 60 percent total recycled fiber with 30 percent post-consumer recycled material.